Beyond the grape — The Old Town Alchemy Co.
Mulled wine has become as integral to the UK holiday tradition as chocolate rabbits have to our idea of Easter, but the basic idea - add spices and serve warm - is too good not to look beyond the grape. Cider may be a popular choice for drinking out of a brown paper bag on a park bench, but if you're willing to pay more than 45p per litre you can pick up something that serves as a great base for a traditional warmer. Combine all ingredients in a pan and place over a low heat. Simmer for 10 minutes. Strain and serve with a cinnamon stick and an orange zest. Alternatively, bottle the mixture - it should keep for at least a couple of weeks. Reheat either on the stove or in a microwave. 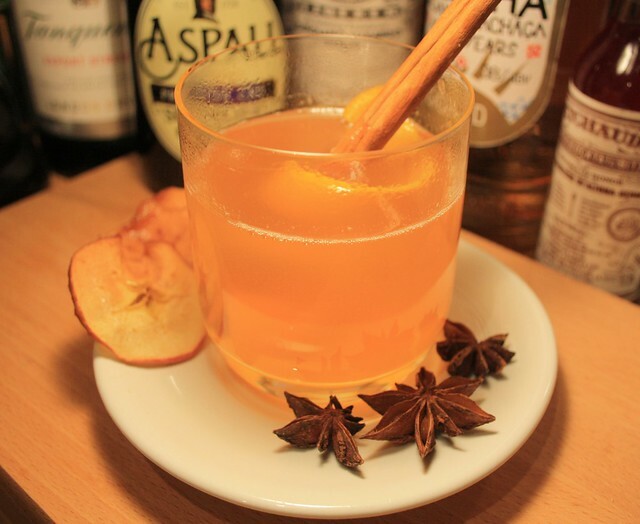 As good as the mulled cider is, I'm not letting a post go out without a mention of high-strength liquor and this recipe goes really well with the previous one or on their own. Combine the Bénédictine and honey in a mixing glass and stir until the honey is completely dissolved. Cut the apple into thin slices and place in a shallow tray. 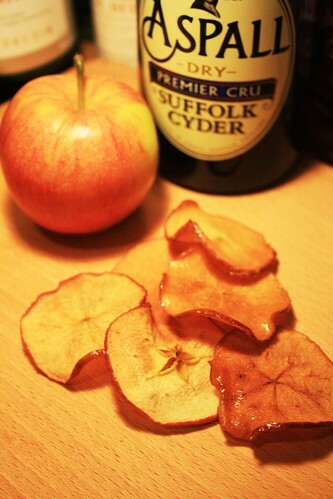 Cover the apple slices with the liqueur/honey mixture and leave for at least two hours. Pre-heat oven to 150 degrees C. Transfer the apple slices to a baking tray and cook until golden brown. Remove from oven and leave to cool for 10 minutes to crisp up. 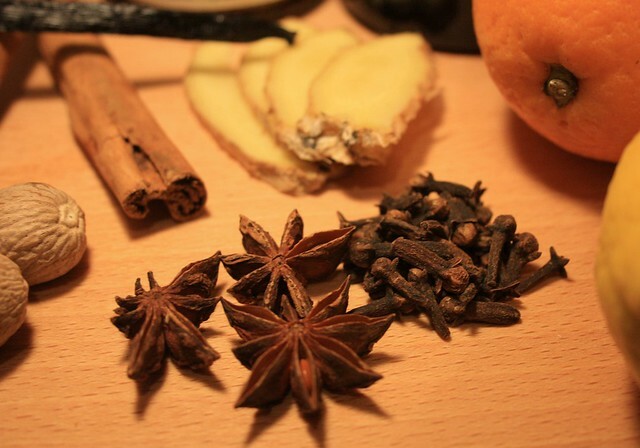 Posted on December 16, 2010 by Jon and filed under Mixology, Recipes and tagged Benedictine cider drinks mulled cider mulled wine spices winter.